Greece’s democracy is at risk. With the European Union and the International Monetary Fund imposing austerity measures in return for a bailout loan, the precarious social conditions in which Greeks now live and the implosion of the country’s political system have led many to think that a civil war could become the next reality. Greece is in a crisis. Their unemployment rate is higher than ever, which was at 25 per cent in July, with 54.2 per cent of youths unemployed. The situation is dire and people know that the government is to blame. This is where the newest party in Greece, Golden Dawn, comes in. They have become a central player in Greek politics. “We are not fascists. We are not anti-immigrants. 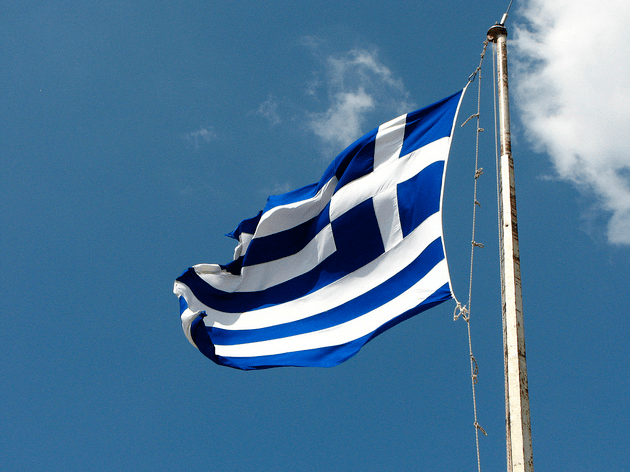 We are Greeks, and we love our country. That’s all,” Golden Dawn’s deputy leader in Montreal, Spiros Macrozonaris, said in a recent interview with the CBC. Far-right parties like this have succeeded in getting voters in the past by creating an uncertainty as to what their agenda really is about, and therein lies the danger. Panagiotaros is the same person who held a megaphone in an immigrant-filled neighborhood in Athens, screaming that we need to “fight against foreign invaders.” Greek police say they have made almost 3,000 arrests in a recent campaign to hold and deport illegal immigrants. In September, three Golden Dawn lawmakers led supporters on sweeps through markets in two towns, demanding to see the papers of people who weren’t ethnic Greeks. They smashed the stalls of those they deemed to be operating illegally. This radicalism is not what Greece needs. This isn’t the democracy Greece is so proud to be the father of. History has shown that resorting to radicalism has never been a wise solution but rather an unnecessary and dangerous evil. Golden Dawn definitely falls into this category.